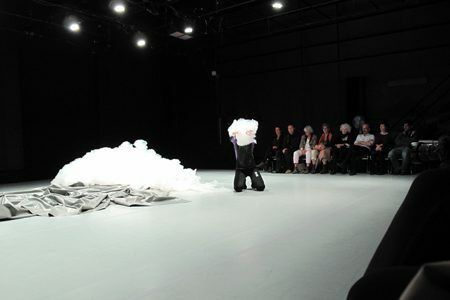 Through the collaboration of the Conseil des arts et des lettres du Québec, the Goethe-Institut Montreal and fabrik Potsdam – Internationales Zentrum für Tanz und Bewegungskunst, Berlin artists Mirjam Sögner (choreography) and Sandra Blatterer (light design) received a residency in the studios of Circuit-Est centre chorégraphique. 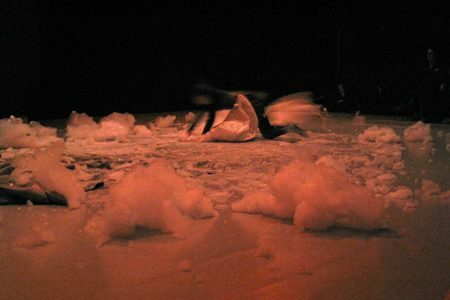 During this residency, they used foam as a performative agent which they animated, used as a landscape and transformed with light and visual projections. They questioned the way the body can be part of this slowly vanishing light sculpture, which exists with its own qualities of movement. With this video by Emmanuelle Boileau we invite you to revisit the evening of the presentation of the residency at Montreal's center for contemporary dance, Circuit Est on October 26, 2017. Mirjam Sögner is an Austrian choreographer and performer based in Berlin. She received both a DanceWEB Scholarship as well as the STARTStipendium awarded by the Austrian Cultural Forum. As a choreographer she created work for Tanztage Berlin, Dschungel Wien and Kibbutzim College Tel Aviv a.o. Her Solo Work LARA was selected by Aerowaves 2016 and toured throughout Europe. Sandra Blatterer lives in Berlin and works throughout Europe. 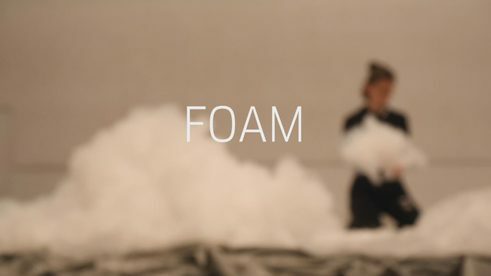 In her artistic praxis she connects a range of different methods from draft sketches, to video mapping, installations and above all performances in context. Sandra develops here concepts either own her on or in collaboration with other artists. 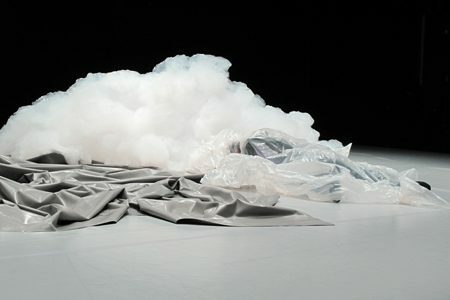 Amongst others, she has worked with Meg Stuart, Jozef Wouters, Jeroen Peters, Monika Grzymala, Maria Scaroni, Claire Vivianne Sobottke, Begüm Ericyas, Mark Coniglio, Shannon Cooney, Anke Eckhardt, Hermann Heisig, Siegmar Zacharias, Eve Sussman, Laurie Young, Irina Müller, Rosalind Goldberg, Sergiu Matis, Mirjam Sögner. Copyright: Text: Goethe-Institut Montreal, Internet Redaktion. This work is licensed under a Creative Commons Germany Attribution – NoDerivs 3.0 Germany license.